Karuna energy® carries the purpose of “ending the suffering of others”, supporting all compassionate actions towards self and others. It’s an intentional and motivating quality of all enlightened beings to cease suffering on Earth. Karuna Reiki®, also known as Reiki of Compassion, is a system of healing that has evolved out of the Usui Reiki System. Its own symbols and attunement techniques were received while various forms of Reiki Healing were researched by very gifted Reiki Masters. Some of the symbols may be also used by other schools and systems but the attunements and the intentions are different. Karuna Reiki® is the quintessence of Reiki Universal Life Force. Those who seek to become Certified Karuna Reiki Master Teacher or Reiki Master have to receive the teachings from the International Center for Reiki Training (US). More information about Karuna®, Karuna Reiki® and its applicability can be found in the following article: Deepen Your Practice with Karuna Reiki®. 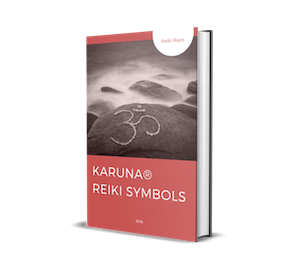 Karuna Reiki® presents eight symbols with specific energetic frequencies for specific conditions. 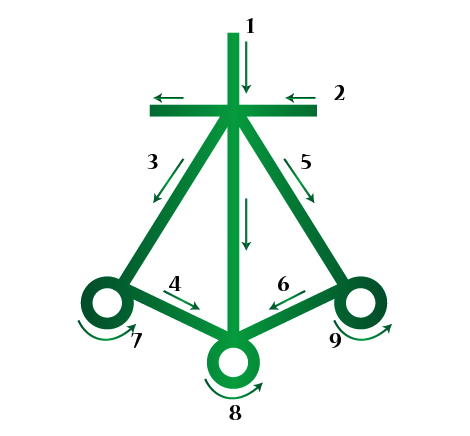 Each symbol holds an energy, so it can be used to invoke its meaning, and further its effect to bring healing where is needed through different techniques like symbol chanting. Om or Aum is a very powerful symbol. It is beyond time, as it’s considered the source of all creation, the eternal oneness of all that is. Before being discovered as a symbol in Karuna Reiki®, it was the most sacred sound found in Yoga. It can be used even if no attunement to Reiki has been made. 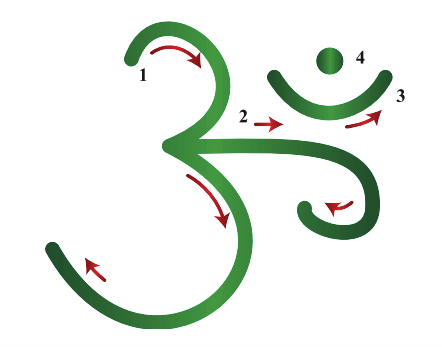 Those four subtle sounds of Om correspond to four levels of consciousness as following: “A” – conscious, waking state; “U” – subtle, unconscious dream state; “M” – subconscious, deep sleep state; the fourth sound is the silence, which represents the absolute consciousness that illuminates and pervades the three prior states. Read more about OM symbol here. Zonar is a symbol of Karuna Reiki® which stands for healing past lives, karmic and inter-dimensional issues. Is one of the most powerful and useful symbols as it helps in the initial phases of deep cellular healing. 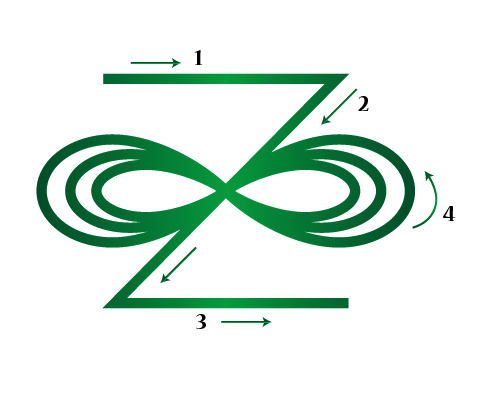 Read more about ZONAR symbol here. 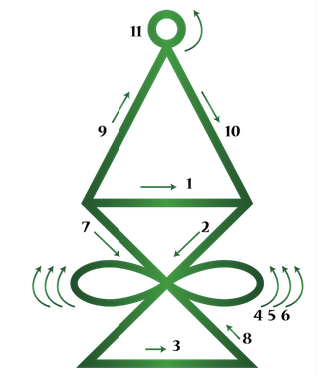 Halu symbol is an amplification of Zonar due to the added pyramid. It works especially on higher dimensions and deeper levels. 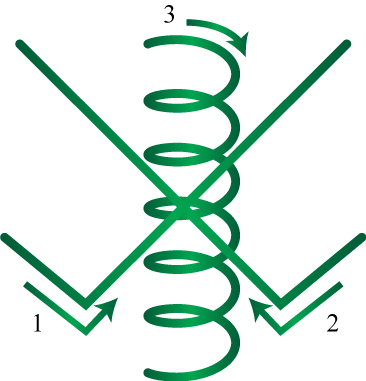 In some Reiki Systems, Halu is also used as Master Symbol. 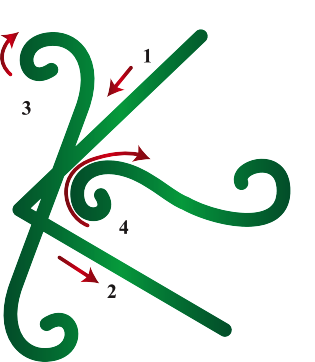 Read more about HALU symbol here. Harth is one of the most important symbols of Karuna Reiki®, being used for all issues of the heart, be it emotional or physical. 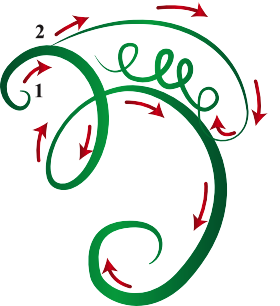 Read more about HARTH symbol here. Rama is a symbol used only of those attuned to Karuna Reiki®. It represents the bonding between male and female energy. Read more about RAMA symbol here. Gnosa is another Karuna Reiki® symbol. It helps to clear clutter from the mind while strengthening the connection with the Higher Self. It has the ability to merge conscious and subconscious mind together, opening the chakras and increasing our awareness. Read more about GNOSA symbol here. Kriya symbol of Karuna Reiki® is a double Cho Ku Rei used especially for physical manifestation and healing the human race. 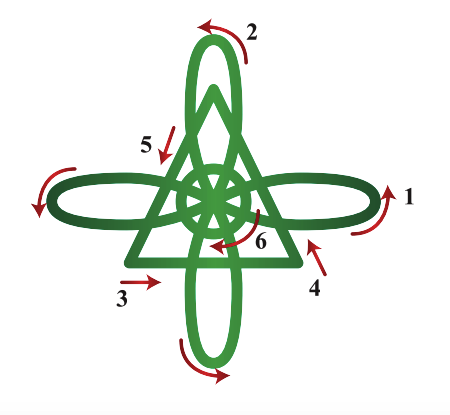 The clockwise symbol connects one to the heavens and has masculine energy and the other to the earth and has feminine energy. Read more about KRIYA symbol here. Karuna Reiki® symbol Iava (EE-AH-VAH) helps us to understand that we create our own history and future. It recovers personal power. Read more about IAVA symbol here. Shanti is a beautiful Karuna Reiki® symbol meaning peace. It’s very useful for manifesting desirable results and releasing all fears and insecurities. 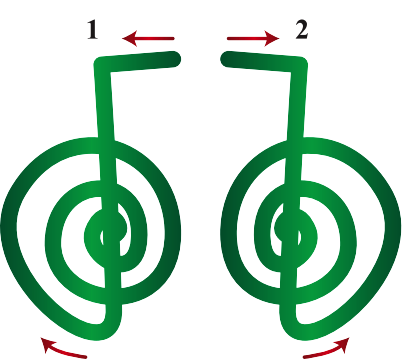 Read more about SHANTI symbol here.